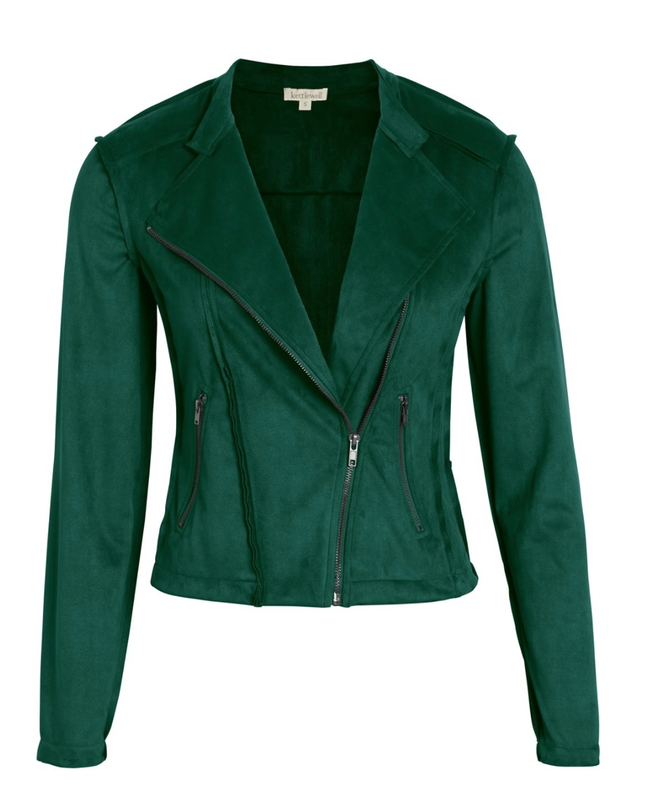 Every time you introduce a new item into your wardrobe you want it to work really hard for you, and whilst I really encourage shopping your own wardrobe as much as you can, to get the cost per wear, sometimes you need to inject something fresh to help you wear more of what you have already. When you in the shop trying on items, it can be hard to think about what you have that can go with it so if you fall in love with an item then buy, take it home and have a play – if you can create two to three outfits without anything else then you have a winner! 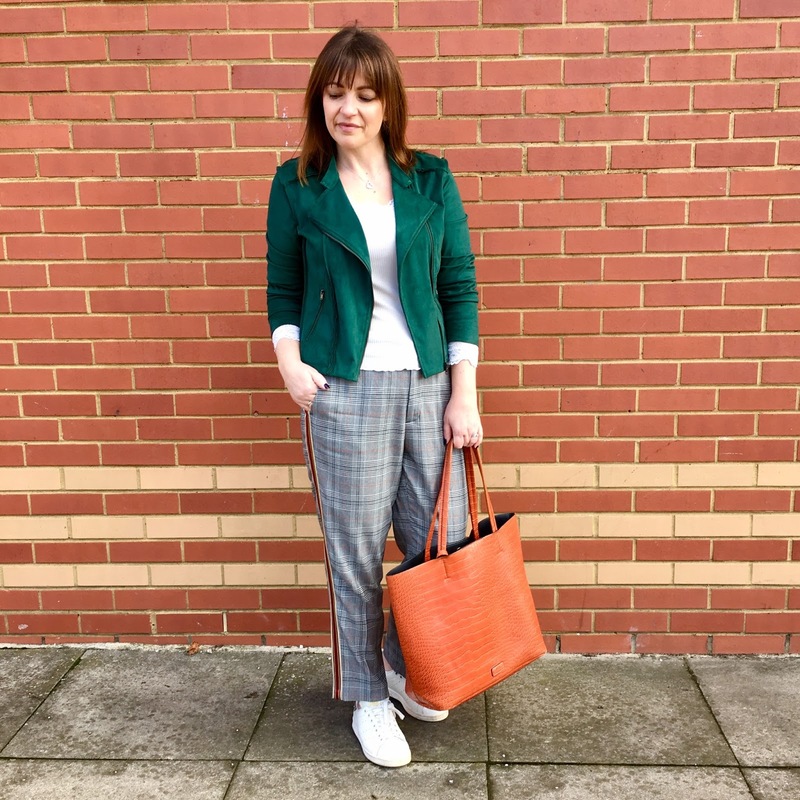 Spring 2018 continues to love the checks – and I feel one of the most stylish items to adopt this trend, is to invest in the trousers, these can be worn dressed up or dressed down to get that added value. I’m hoping you are going to love these two looks, and that they will inspire you to be able to create something similar yourself so that if this is a trend you would like to adopt you have more confidence to do so. Please don’t feel that things have to match perfectly to be an outfit, both these creations inject colour to make these grey check trousers work. So let’s start with the trousers, these are from Zara, I’ve purposely picked the version with the go-fast stripes so that you can tick that box too for Spring but they do similar ones without. The length of the trousers finish on the ankle which is the length this season so that you can show off easily your fabulous boots or trainers. The trousers have pockets but they are not too deep so they don’t add bulk to your hips. Sizing is true to size. I think they are a fabulous at £29.99, the cost per wear on this will be very low indeed! I don’t know about you, but I find most weekends I’m running around, doing various different activities and meeting different people throughout the day, so I need my outfit to be quite versatile – I want to look great for brunch, I want comfort whilst I travel and then I don’t want to look overdressed when I pop to the supermarket and do my crazy half-hour with a trolley – it’s all got to work and I think this look covers it off for me. I’ve teams the trousers with my Stan Smiths trainers, I think this is a slightly smarter look than my NIKES which I described to you on Thursday’s post. I’ve got a long sleeve t-shirt on which the cuffs are made of lace, it’s this kind of detail that steps up the casual to be a little more chic, I’ve purposely made sure this lace shows through from my jacket sleeves. 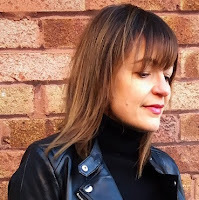 As we are now having warmer days, I’ve got my Alexa jacket back out which I think gives this overall look some edge, the biker jacket naturally does that. And the last injection of colour comes very easily by adding my favourite tote bag, which I bought a few years ago from Topshop, £40 and I’ve used it so much it’s been a gem! 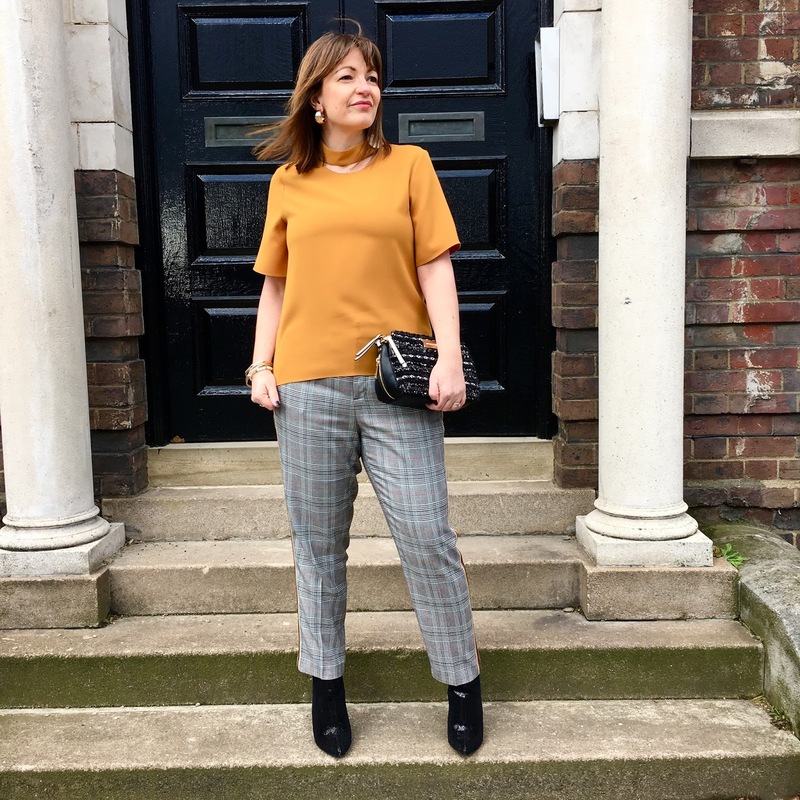 I wanted to show you that these trousers make a great option for an evening out, I don’t know about you but sometimes I don’t want to wear jeans and perhaps a dress is not your thing. 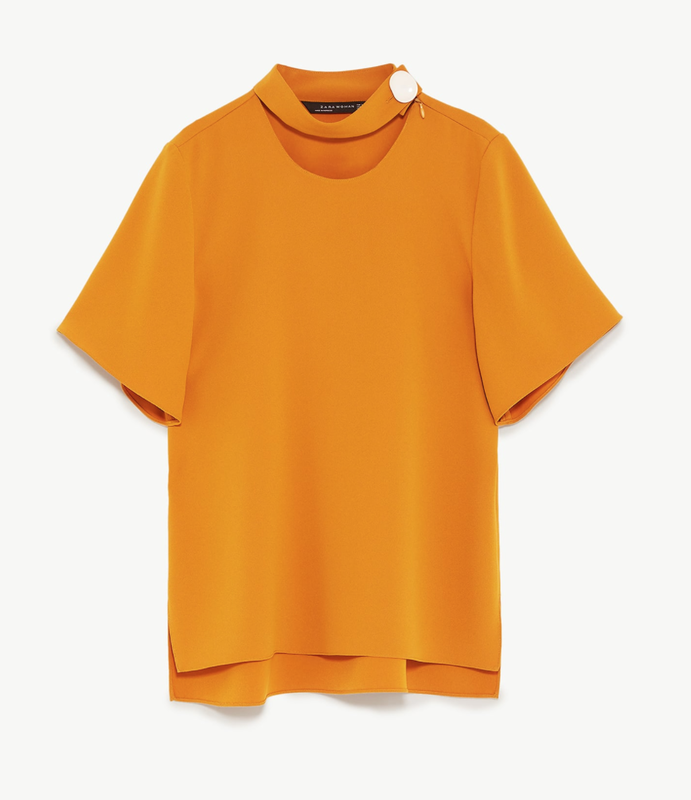 To step this up for an evening look, I’ve gone for a statement blouse that has the button detail and this gorgeous colour of mustard to really go bold with this look. Upgrade every other detail, so I’ve gone for big hooped gold earrings, I’ve ditch the tote for my new Chanel inspired cross-bag, notice how I’ve taken off the straps so that I can use it as a clutch. I’ve added some gold bangles and my black boots are the sequinned boots I got from New Look just before Christmas – my best buy for the busy party season, they just go with everything! One tip I will suggest to you – when you wear a blouse like this with big sleeves that could potentially crease, you obviously would like to avoid this before you get to your event, I would recommend that you drape your coat or your biker jacket over your shoulders (i.e. wear it like a cape), this also helps you to tuck your clutch bag nicely under your arm as it’s easier without a jacket on. I personally also think wearing your jacket this way is slightly more glam. 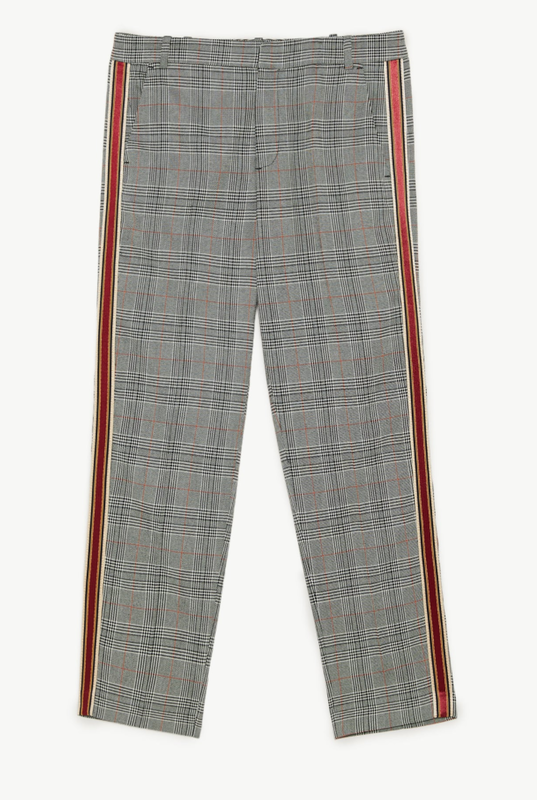 The post Double Duty – The checked trousers was on Loved by Lizzi first. I just want to say a big huge thank you to everyone who took my shopping survey – it has been really insightful – THANK YOU – I love how you feel you can just tell me what it is you love, this helps me to create the right content for you. If you would still love to take part, then please click here to do so.